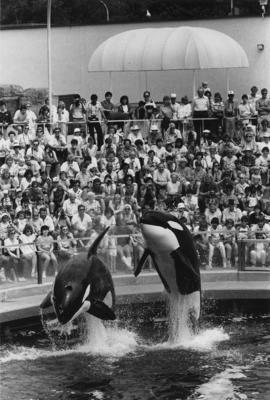 Photograph depicts two orcas jumping at the aquarium with a large audience watching. Photograph depicts Ann and an unidentified woman at Marineland. 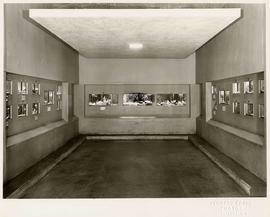 Photograph depicts Ann at Marineland.